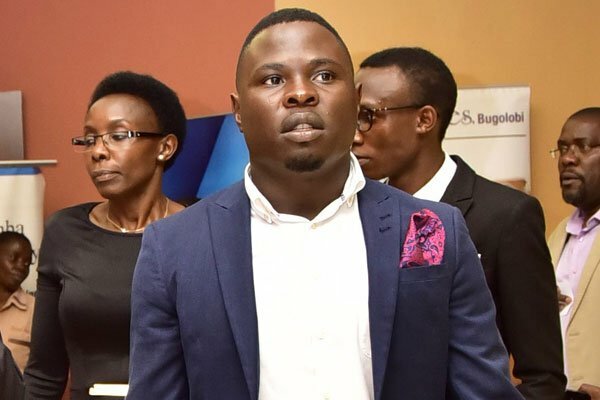 On Monday, Zaake took time to narrate to reporters the events leading to the August 13 violence in which singer and MP Bobi Wine’s driver Yasin Kawuma was shot dead in Arua. 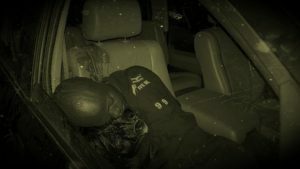 Zaake even revealed that Kawuma had driven him to Arua hours before he was shot dead. 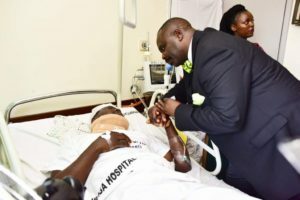 As you are aware, my life had ended following the gruesome acts that occurred in Arua Municipality on the 13th day of August, 2018, many weeks have passed by, I have heard on radio, watched on television and read stories in papers reporting what happened to me, some have a semblance of truth and yet others are just baseless allegations shamelessly made by the person of the President. It has taken me long to respond with the truth because I have not been robust. Now that I am able, let me dispel the myths and share my ordeal. Here is my story. After meeting the village leaders, my mind got focused on Arua by-election, all was set for me to travel except that, no driver was available to drive me to Arua because my driver had another responsibility to drop kids in school and pick them later, so he could not drive me, I phoned HE Bobi Wine to find out whether he could get me one of his drivers; and indeed he phoned Yasin Kawuma, now the late who drove me to Arua town. We set off from Kawempe at around 9.00pm and by 4.00am we were already in Arua. Very jolly and committed to his job was Yasin, a patriotic promising young man, he told me about his family, his dreams, I realized that he was such a humble person who hated violence. It is unfortunate that this state decided to end his life in cold blood. Painfully, I didn’t know that, I was moving with him to meet his death. I never even got a chance to bury him. May your soul Rest In Peace comrade. On the same note, I wish to commiserate with the families of other deceased comrades in the struggle, those we know and those we may not know. In Mityana Municipality alone, more people than reported were shot dead by Uganda Police during demonstrations against government’s continued illegal detention of their leaders. This impunity must stop, individual officers must be prosecuted, and to this, our Legal team has already started working to bring the perpetrators to book because the families of the deceased also deserve to get justice. On reaching Arua, each one of us went to his room which had been reserved by colleagues in one of the two hotels they had chosen to occupy. We went to the rally which was closed at around 5:40pm, after the rally we moved in a procession peacefully with the crowd and reached a point where we bade them farewell. I went direct to my room, while in my room, I heard a voice that drew nearer and stronger towards my room yelling that Yassin had been gunned down, I couldn’t believe it, so I rushed out of the room to where the incident had happened, when I was just about to reach the tundra vehicle parked in the yard of the Hotel, a multitude of gun wielding men swarmed in and I retreated back into my hotel room. These guys followed me hastily, forced their way into my room, asked me to put my hands in the air, before I could even do it, one of them kicked me down, they started asking me that which rooms are your colleagues while the beating continued. Hearing “I don’t know” from me was a catalyst that intensified the beating, this time round they started squeezing and pulling down hard my testicles, oh God! That was so painful, while maiming me they warned that they will kill me if I don’t stop fighting Museveni to which I responded that, if that is the reason for beating me, then you would rather kill me now because I will never be indifferent about the injustices he does to others, we shall push him until he gets out of our way, Uganda is for all of us. These guys battered me until I could no longer feel the pain, even then, the beating continued. I could neither stand nor support myself, they dragged me out into a minibus where they pushed me under the seats. That is my last memory of the events that occurred before finding myself in Lubaga Hospital. Those who saw me in particular, Hon. Mwiru, Hon. Karuhanga and Hon. Wadri say that, the SFC goons after battering me to the extent that I was imagined dead, they abandoned me at Arua Police Station with them. Just like what happened to me during “Togikwatako” saga where Hon. 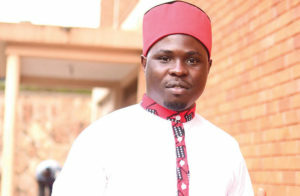 Nsereko Mohammad protested against police abandoning my dead body with them in the van, the same occurred in Arua the colleagues protested and requested that let them or one of them accompany the police officers to the Hospital for my treatment. I am told that the police refused and they left with me to a place no one knows but those that carried me. While in Lubaga, a thorough diagnosis of my body was done and it was established that my situation could best be handled with advanced medical equipment which are lacking in Uganda. We contemplated three avenues to get funds for facilitating my treatment overseas, Parliament, self-sponsorship and AAR Insurance. Parliament is mandated to fund the treatment of members so involving them is simply claiming a benefit, I also knew that in a gutter government like Museveni’s you cannot expect much from him who torments you except bad luck. I was already negative because even the other time I was abandoned by the same people but good enough Hon. Babirye Kabanda of Masaka Municipality offered to help in following up those funds from Parliament, we followed the procedure stipulated, she met the Prime Minister who referred her to the minister of Health to summon the medical board members for an emergency meeting to clear me, but to our surprise the minister said that Zaake can be treated from here in Mulago Hospital, yet for them when they get sick they are rushed abroad, the most recent one to be rushed is actually a junior minister in this very ministry. I confirmed that indeed it is true that these ministers are just by titles and have sold their souls to the devil. Thank you Hon. Kabanda for standing with me in that aspect. I would have not delved into the havoc caused by police at the airport but I think it is important that you know, following orders from above, Police stopped me from leaving the country claiming that I was fleeing, in such circumstances, I missed four flights. How can I flee a country that I have known all my life as the most beautiful country in the world, endowed with nature and wealth but robbed by one family and the cronies? Actually, in my opinion a citizen fleeing a country in need of liberation is what constitutes treason not the nonsense that government crafted against us. These guys drove me to Kiruddu and started forcing people who claimed to be doctors to treat me which is actually unlawful and preparation to sue them is underway. I was held under Police incarceration at the Hospital for more than a week and then later released on police bond so I have to keep reporting to police, when that time is due I will surely notify you.